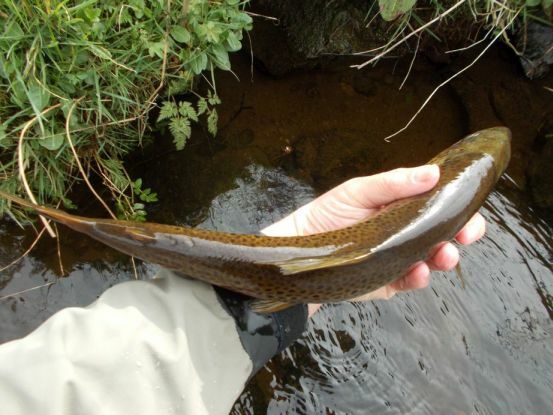 April on the Devon was relatively quite; but towards the second half of the month despite the often sharp cold easterly winds our resident trout began to show at the surface as they picked off the small but steady hatches of olives. This provided excellent opportunities for patient angler willing to wait for a hatch and cover the fish with a small dry fly (Parachute Adams, Iron Blue Dunn or Greenwells Glory). Just after Easter the DAA welcomed Dr Jenny Mant and Dr Ulrika Aberg from the River Restoration Centre [RRC] for an intensive two day tour of the River Devon catchment. They were escorted by DAA committee members and also by Dr Joanna Girvan the River Forth Fisheries Trust biologist.The RCC is the UK’s pre-eminent source of information and advise on all aspects of river restoration and enhancement, and sustainable river management. 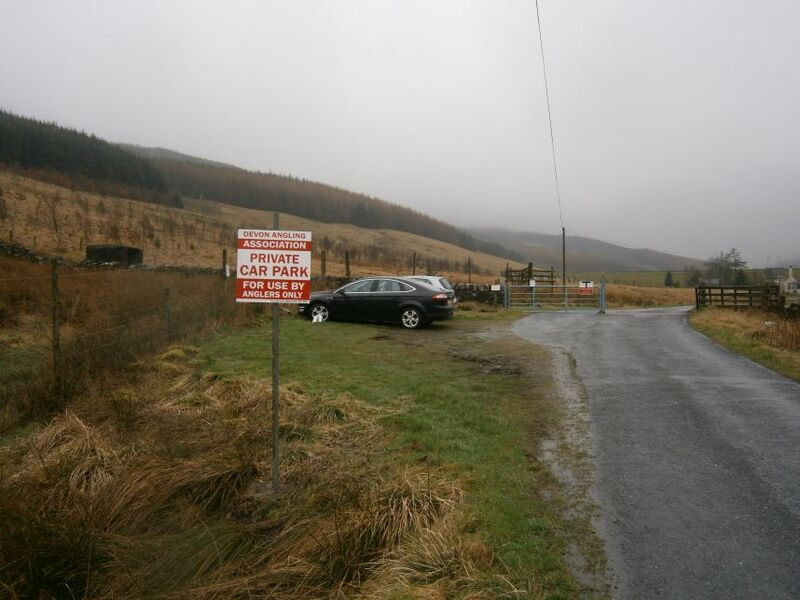 The DAA have engaged the RCC to provide advice to improve/enhance the wild fishery and deal with some of the specific challenges on the River (such as the historic impoundments, new impoundments, compensation flows from Castlehill, flood damage, industrial legacies and pollution legacy on the Fossoway beat). The RRC report will provide a template for future improvements to the catchment that we hope will provide a sustainable Brown Trout, Sea Trout and Salmon fishery long into the future. Another weir in the Forth District has received funding for improvement works. Dollar Weir on the River Devon is currently only partly passable to salmon and sea trout, but it will shortly be improved for fish passage, and this will help to open up miles of excellent salmonid habitat. We are currently determining the best and most cost effective way that this can be achieved. This is an exciting development which will improve opportunities not only for Sea Trout and Salmon but also for the Brown Trout population (I was gobsmacked at the tail end of the 2013 season while sat watching Salmon trying to get over the weir to spy a Brown Trout of well in excess of 5lb clear the pass). As we get into May and the nights recede we can start to look forward to the regular evening rise! This entry was posted in River journal, Uncategorized. Bookmark the permalink.